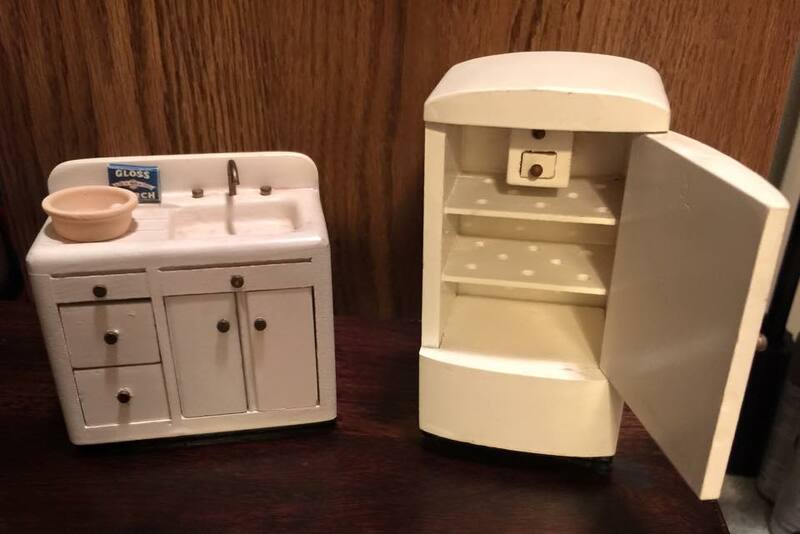 Halls Lifetime Toys were made in Chattanooga, Tennessee from the 1960s-early 80s. The furniture was made in a variety of scales and always of wood. It was sold in upscale department stores. 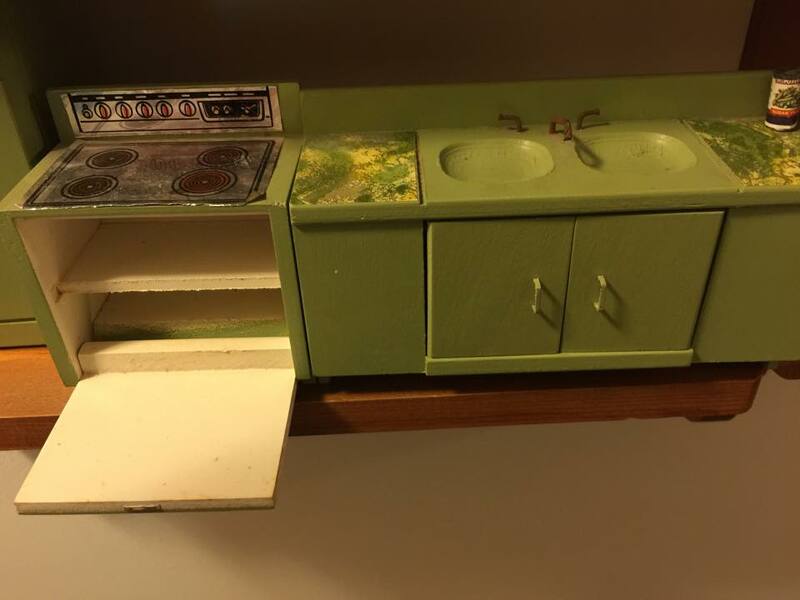 This is an avocado green kitchen set from the 60s. 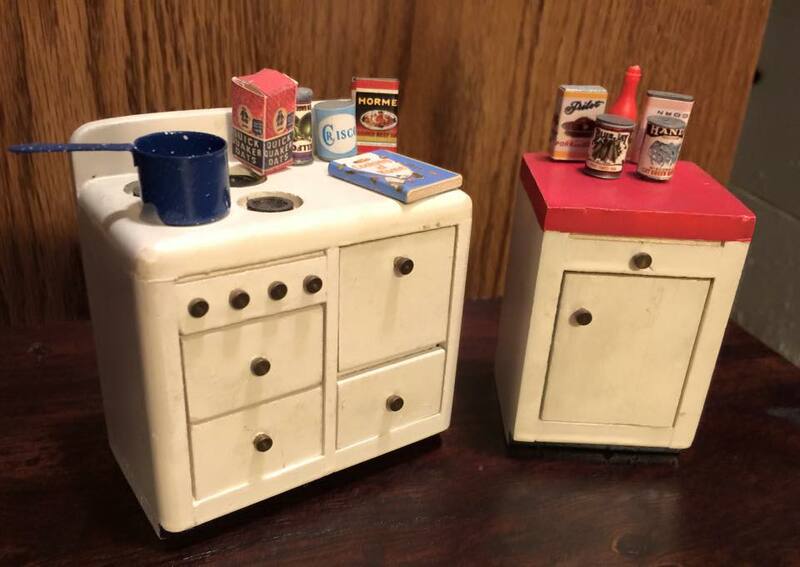 This is a 1940-50s era kitchen set similar to those made by Strombecker. The refrigerator has a little icebox inside. 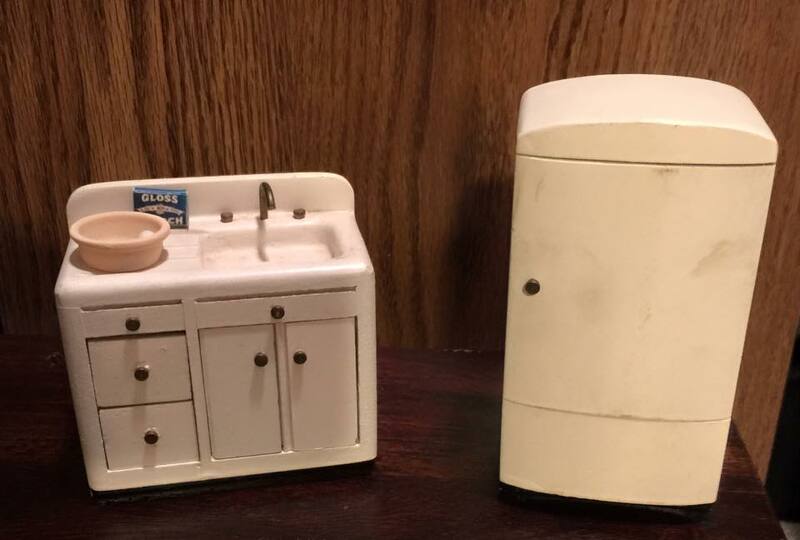 This is a 1930s Strombecker kitchen set. 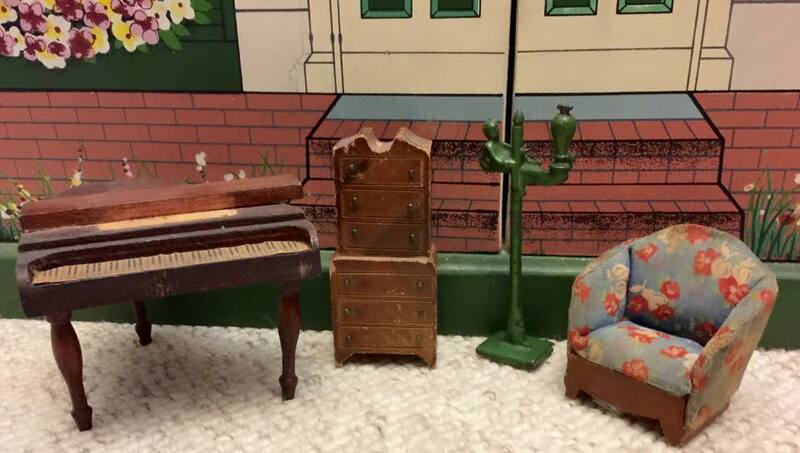 Strombecker was located in Moline, Illinois, and started making dollhouse furniture in 1931. Their furniture was made for the middle class, and was priced affordably. Nearly all of it was made from wood. Note: One chair is a copy made by my dad. The piano is by Menasha. The lamp is by Kilgore. It's difficult to refer to Shackman as antique, since it was some of the first furniture I started collecting. 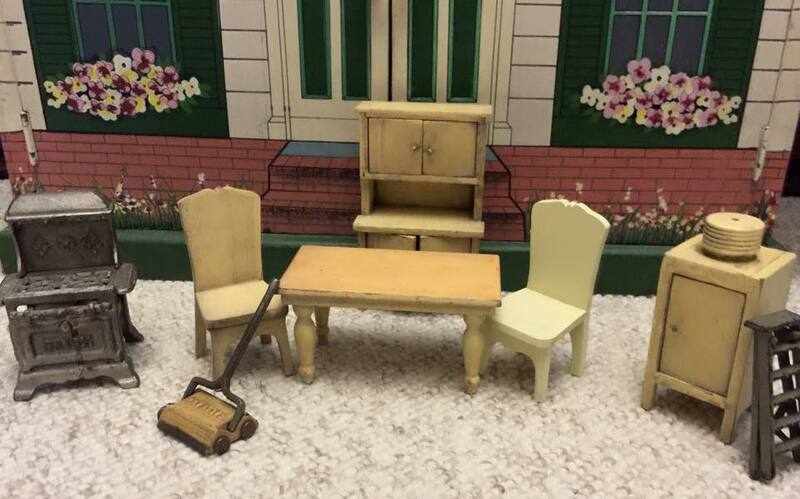 In the 1970s, one of the prolific distributors of dollhouse miniatures suitable for the adult collector was the Shackman Company of New York. The 1970s chair and sofa in this set is by Shackman. The older buffet, radio and lamp are by Strombecker.